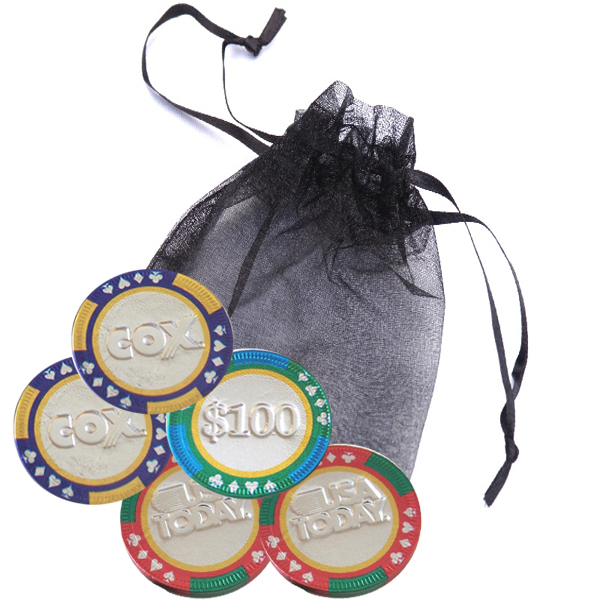 Delicate organza bags offer the perfect packing for our award-winning custom chocolate casino chips. 5 chips are packed in every 3” x 4” bag with more than 14 colors to choose from. These chips carry different $$ denominations on one side and your customized message/logo/graphic on the other. You can even have both the sides personalized. Call us to know more.